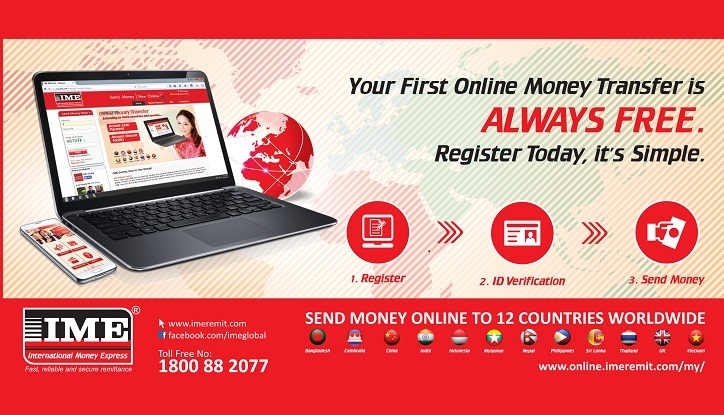 From many years IME has provided fast, reliable and secure remittance solution for you and your family across the globe, through our ever increasing network of global agents. Sending money around the world is now easier through IME. Use your Online Banking system and you can deliver money to your friends and family back home instantly! 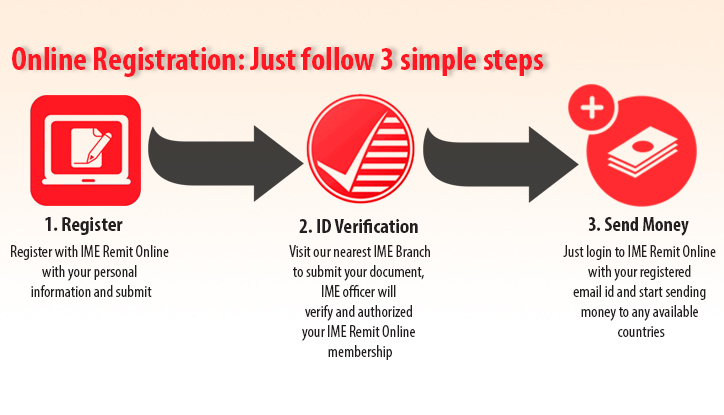 Our global network helps customers to get the funds instantly from any of the IME's agent locations. Your beneficiary can visit their nearest IME location with their ICN (IME control Number) and a valid Identity document. 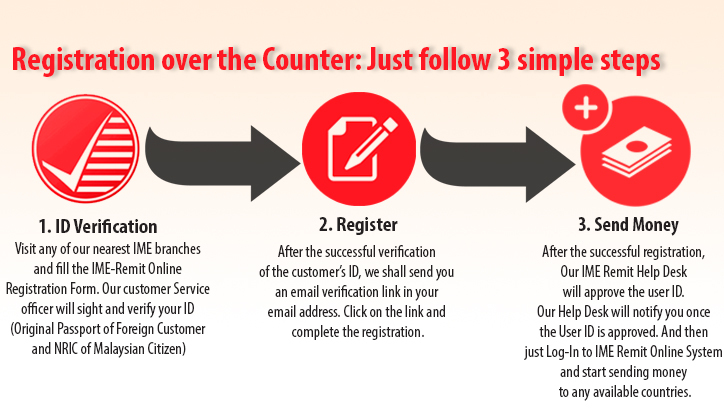 Once all the beneficiary details have been verified the funds will be paid instantly. We offer direct credit to your beneficiaries account held with a correspondent bank of the service country (Please check list for available banks). Funds will typically reach the beneficiary bank account in 1 to 3 working days, depending on the service country. The Government of Malaysia has recently announced the implementation of GST at the rate of 6% with effect from 1st April 2015. We wish to inform all our valued customers that IME (M) SDN BHD is GST registered and the GST registration numbers is 000647798784. Beginning 1st April 2015, all sending transactions will be taxable, the 6% tax will be charge on service charge only. If you have any enquiries regarding the above matter, kindly refer to our branch personnel or contact our Head Office at 1800 88 2077 EXT 601 OR 602. Kerajaan Malaysia telah mengumumkan pelaksanaan GST pada kadar 6% berkuatkuasa pada 1 April 2015. Kami ingin memaklumkan kepada semua pelanggan yang kami hargai bahawa IME (M) SDN BHD telah didaftarkan di bawah GST dan nombor pendaftarannya adalah 000647798784. Bermula pada 1 April 2015, semua transaksi penghantaran akan dikenakan cukai GST sebanyak 6%. Cukai tersebut akan dikenakan ke atas bayaran perkhidmatan sahaja. All Rights Reserved. Copyright © 2014 IME (M) SDN BHD. This link is provided for your convenience only and to verify the authorization by Malaysian Association of Money Services Business of the services offered.